Dr. Spencer Darrell Lee is a renowned plastic surgeon in Port St. Lucie, FL who specializes in cosmetic and reconstructive surgery for the face, breast, body, and skin. 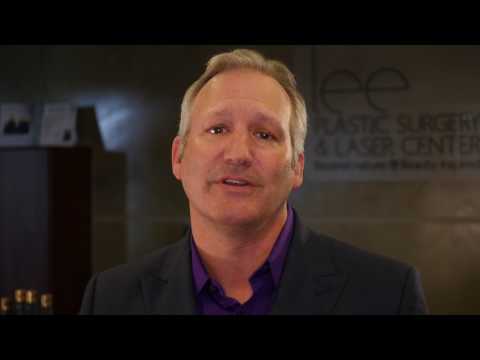 He is the leading plastic surgeon and owner/founder of Lee Plastic Surgery and Laser Center in both Port St. Lucie and Stuart, FL. Board certified in plastic surgery by the American Board of Plastic Surgery and in practice for over 25 years, he is additionally an ambassador of the American Society of Plastic Surgeons (ASPS) and is the official plastic surgeon of the St. Lucie Mets. Dr. Lee has held the position of chief of the medical staff at St. Lucie Medical Center, and served as chairman of the credentialing committee and chief of surgery. He also holds medical privileges at some of the most prestigious hospitals and surgical centers in Port St. Lucie, FL. As an accomplished plastic surgeon, Dr. Lee is known for his superior work in cosmetic and reconstructive surgeries for the face and body. Some of his top procedures include facelifts, brow lifts, breast augmentation, breast lifts, tummy tucks, liposuction, and mommy makeovers. He is especially skilled in reconstructive surgeries such as after weight loss surgery, breast reconstruction, wound care, and skin cancer removal. In addition, he offers nonsurgical treatments including BOTOX, Juvéderm, Radiesse, Belotero, Xeomin, Kybella, and laser skin resurfacing. He combines his years of experience, unique medical training, and artistic eye to provide the best cosmetic outcome possible. Dr. Lee received his undergraduate education at the University of Rochester and continued his education at New York Medical College in Valhalla, NY. After completing medical school, Dr. Lee did his internship and general surgery residency at New York Medical College and earned his board certification in general surgery by the American Board of Surgery. He then continued his training and completed a fellowship in plastic surgery at the world-renowned Mayo Clinic in Rochester, MN. Upon completing this fellowship, Dr. Lee obtained his board certification in Plastic Surgery by the American Board of Plastic Surgery (ABPS). The top plastic surgeons in the world are those who have received this board certification. Dr. Lee not only provides superior cosmetic care to Port St. Lucie and Stuart patients, but he is dedicated to advancing and giving back to the community through humanitarian and volunteer work. He is a proud supporter of the Boys & Girls Clubs of St. Lucie County, Humane Society, Treasure Coast Veterans, and other nonprofit organizations. His compassion and generosity has earned him the 43rd Annual First Humanitarian Award by Hospital Corporation of America (HCA). "We believe everyone should ‘be your own original' and are committed to providing individualized care and thorough consultations to fully explore your best options. Our devotion extends beyond the aesthetic journey to realize better health and restore self-confidence."